Without subject, there’s no photo. It sounds so obvious that actually most beginner photographers just totally miss it. But choosing the right subject is only the beginning, you have also to capture all your emotions in front of your subject. What is the relationship between your subject and your emotions? How can you capture all your emotions in your photo? Succeeding in making remarkable photos means successfully capturing and sharing emotions in your photos. Focused on the theory of emotions, I designed a 6-step method for learning photography first with what you feel. Mastering the subject is the 1st step to achieve. The choice of the subject belongs totally to you. One thinks easily of a person or a group of people, an animal, a landscape, architecture, flowers, objects, … The list is almost infinite. But you have to question yourself if what is in front of you, is really the subject of your photo. Maybe it is a not the group but a specific person, or something bigger (e.g. it’s not that particular object, but rather the object in its environment), or smaller (e.g. a specific detail of person says it all, like its hands, this detail is the subject), or different (e.g. the real subject is actually not the building, but the street). Again, it all depends of what you are feeling and to understand what are the root causes that create your emotions. Then, you want to take a picture of this subject because it instinctively provokes emotions coming from your culture, your personality, your sensibilities, your mood. Nevertheless, a subject may be in disposition that may be radically different from one moment to another, from hour to hour or even from day to day. 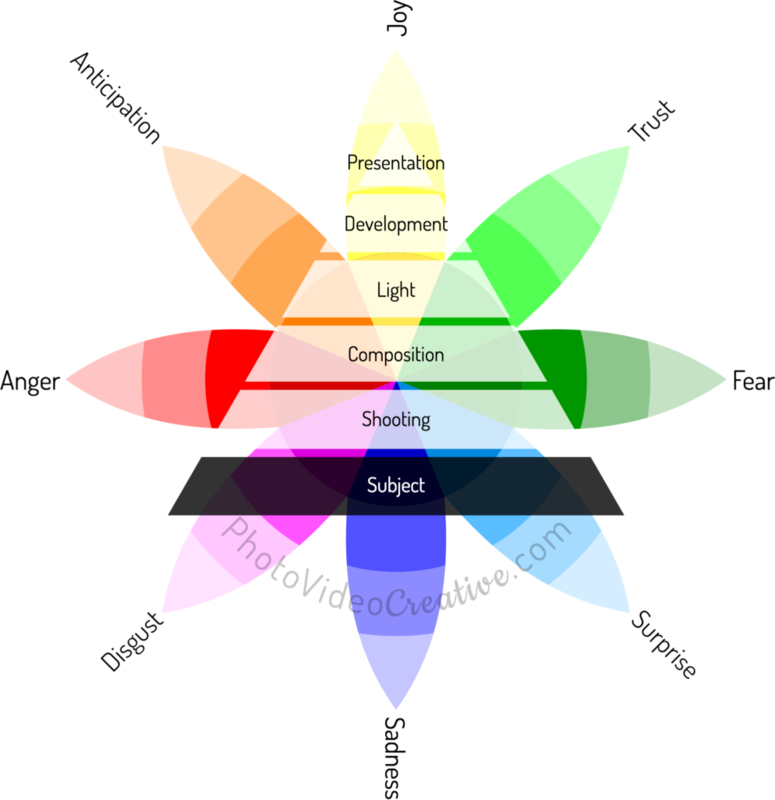 These different dispositions can fully be in sync with the emotions you’re feeling as a photographer, or they can alleviate your emotions, or even make them disappear, or worse provoke opposite emotions. There can be indifinite means to have a better disposition of your subject. The better you actually know what a subject can express, the better chance you can capture a compelling photo. This is where the true conscious choice of the photographer comes in: select the best disposition of the subject according to your emotions. 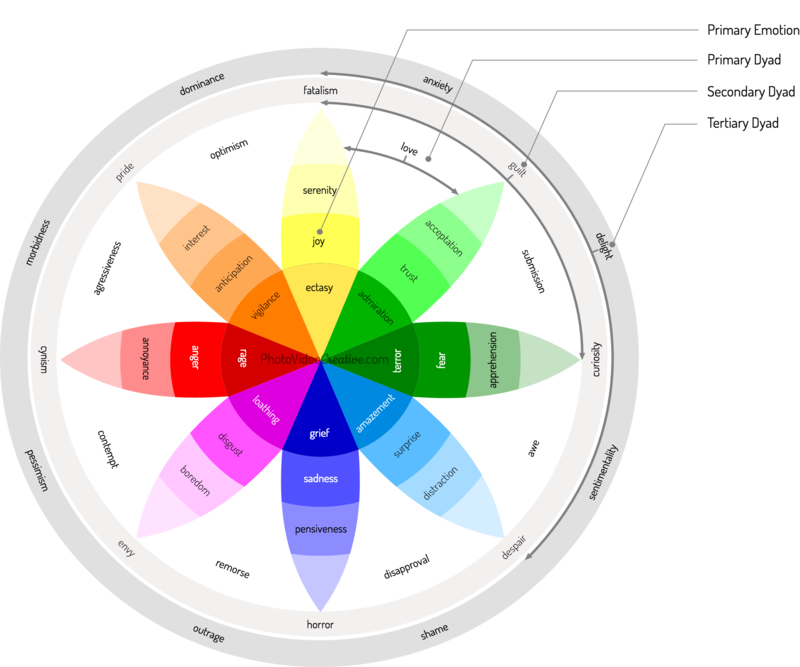 All types of emotions that we feel can be represented on a wheel with 8 primary emotions according to the theory of emotions of Plutchik. These primary emotions come in varying intensities (the most intense are at the center) and combine in 24 other emotions through dyads. 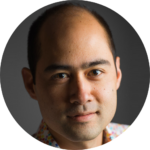 Let’s take 2 examples of the key questions you should ask yourself before shooting, in order to get the most of your emotions. Does her eyes meet the camera? Is the person back? Do we see a part of her face without really seeing her eyes? Are his eyes insufficiently open because of a too bright light? Is her face really expressive? Is her smile too tense? Is she grimacing? Is the person in the process of finishing her mouthful or pouting? Is her hair well capped? Is it tousled by the wind, or does the hair cover her face too much? Are her clothes worn properly? Is there a crease to iron, a button badly closed, a shirt that comes out? Is her posture too stiff or artificial? Should we see her hands, arms, legs or feet? Should you shoot while the person is moving or at rest? If she’s moving, what positions of her body members will be the most expressive? Must the sea be at low or high tide? Is it better that it should be sunny, cloudy, or completely covered or rainy? Is it better to have a rough or calm sea? Is it better to have a storm or a breeze? Should you wait for the formation of waves or the surf? Is there no waste that floats? Or a dubious scum? All the above questions are only examples for you to understand the dynamic nature of a subject and the need to choose the right moment for your photo. And depending on the subject and the moment, the same question does not necessarily lead to the same answer. With the example of the portrait, you also understand that if you feel joy in front of this person but you choose a poorly captured moment, at best you will make feel little or no emotion for the viewer. At worst, your portrait will push emotions like surprise, disgust, sadness or fear. As the basis of the whole emotional photographic pyramid, a badly shot subject leads to a bad photo: “garbage in, garbage out”, what ever you can do on the upper levels of the emotional photographic process. Nothing you could do with the shooting, the composition, the light, the development nor the presentation of the photo could change the subject that you captured. So, prepare your subject, take multiple shots, change the time of the day, etc. until you feel you get it right! Have you ever thought about how to tackle a subject before photographing it? Were you sure you understood all the facets of what the subject could show you? Leave me your comment, I will answer with pleasure. Learn how to learn how to photograph with my 6-step method to make your photos first with your emotions. An intuitive approach that does not drown you with techniques, but focus on you and what you are feeling!